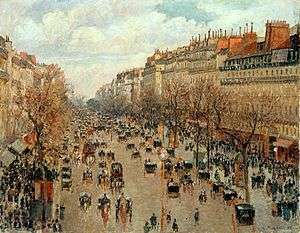 Between 1795 and 1866, metropolitan France (that is, without overseas or colonial possessions) was the second most populous country of Europe, behind Russia, and the fourth most populous country in the world (behind China, India, and Russia); between 1866 and 1911, metropolitan France was the third most populous country of Europe, behind Russia and Germany. Unlike other European countries, France did not experience a strong population growth from the middle of the 19th century to the first half of the 20th century. The French population in 1789 is estimated at roughly 28 million; by 1850, it was 36 million and in 1880 it was around 39 million. Until 1850, population growth was mainly in the countryside, but a period of massive urbanization began under the Second Empire. Unlike in England, industrialization was a late phenomenon in France. 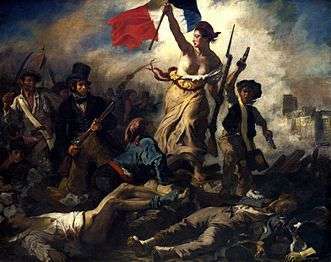 The revolutionary and Napoleonic wars had hindered early industrialization, particularly as, in 1815, France was obliged to pay reparations which amounted to 700 million francs: Relative to French GNP, this was to be the highest war indemnity paid by a defeated country in contemporary Europe. In addition, France was occupied by 1.2 million foreign soldiers and France had to pay the costs of their accommodation and rations. Therefore, France had little resources to invest in industrial modernization. France's economy in the 1830s (limited iron industry, under-developed coal supplies, a massive rural population) developed gradually. The systematic establishment of primary education and the creation of new engineering schools prepared an industrial expansion which would blossom in the following decades. French rail transport only began hesitantly in the 1830s, and would not truly develop until the 1840s. By the revolution of 1848, a growing industrial workforce began to participate actively in French politics, but their hopes were largely betrayed by the policies of the Second Empire. The loss of the important coal, steel and glass production regions of Alsace and Lorraine would cause further problems. The industrial worker population increased from 23% in 1870 to 39% in 1914. Nevertheless, France remained a rather rural country in the early 1900s with 40% of the population still farmers in 1914. While exhibiting a similar urbanization rate as the U.S. (50% of the population in the U.S. was engaged in agriculture in the early 1900s), the urbanization rate of France was still well behind the one of the UK (80% urbanization rate in the early 1900s). With the loss of Alsace and Lorraine, 5000 French refugees from these regions emigrated to Algeria in the 1870s and 1880s, as did too other Europeans (Spain, Malta) seeking opportunity. In 1889, non-French Europeans in Algeria were granted French citizenship (Arabs would however only win political rights in 1947). France suffered massive losses during World War I — roughly estimated at 1.4 million French dead including civilians (see World War I casualties) (or nearly 10% of the active adult male population) and four times as many wounded (see World War I Aftermath). Through the educational, social and military policies of the Third Republic, by 1914 the French had been converted (as the historian Eugen Weber has put it) from a "country of peasants into a nation of Frenchmen". (Weber, E., 1979.) By 1914, most French could read French and the use of regional languages had greatly decreased; the role of the Catholic Church in public life had been radically altered; a sense of national identity and pride was actively taught. The anti-clericalism of the Third Republic profoundly changed French religious habits: in one case study for the city of Limoges comparing the years 1899 with 1914, it was found that baptisms decreased from 98% to 60%, and civil marriages before a town official increased from 14% to 60%. On August 4, 1789, the National Assembly abolished feudalism, sweeping away both the seigneurial rights of the Second Estate and the tithes gathered by the First Estate. In the course of a few hours, nobles, clergy, towns, provinces, companies, and cities lost their special privileges. The revolution also brought about a massive shifting of powers from the Roman Catholic Church to the State. Legislation enacted in 1790 abolished the Church's authority to levy a tax on crops known as the "dîme", cancelled special privileges for the clergy, and confiscated Church property: under the Ancien Régime, the Church had been the largest landowner in the country. Further legislation abolished monastic vows. The Civil Constitution of the Clergy, passed on July 12, 1790, turned the remaining clergy into employees of the State and required that they take an oath of loyalty to the constitution. The Civil Constitution of the Clergy also made the Catholic Church an arm of the secular state. Meanwhile, a renewed threat from abroad arose: Leopold II, Holy Roman Emperor, Frederick William II of Prussia, and the king's brother Charles-Phillipe, comte d'Artois issued the Declaration of Pilnitz which considered the cause of Louis XVI as their own, demanded his total liberty and the dissolution of the Assembly, and promised an invasion of France on his behalf if the revolutionary authorities refused its conditions. The politics of the period inevitably drove France towards war with Austria and its allies. France declared war on Austria (April 20, 1792) and Prussia joined on the Austrian side a few weeks later. The French Revolutionary Wars had begun. In the Brunswick Manifesto, the Imperial and Prussian armies threatened retaliation on the French population should it resist their advance or the reinstatement of the monarchy. As a consequence, King Louis was seen as conspiring with the enemies of France. King Louis was arrested on August 10, 1792. On September 20, French revolutionary troops won their first great victory at the battle of Valmy. The First Republic was proclaimed the following day. By the end of the year, the French had overrun the Austrian Netherlands, threatening the Dutch Republic to the north, and had also penetrated east of the Rhine, briefly occupying the imperial city of Frankfurt am Main. January 17, 1793 saw the king condemned to death for "conspiracy against the public liberty and the general safety" by a weak majority in Convention. On January 21, he was beheaded. This action led to Britain and the Netherlands declaring war on France. The first half of 1793 went badly, with the French armies being driven out of Germany and the Austrian Netherlands. 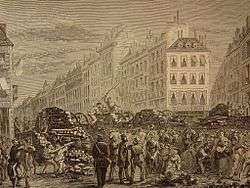 In this situation, prices rose and the sans-culottes (poor labourers and radical Jacobins) rioted; counter-revolutionary activities began in some regions. This encouraged the Jacobins to seize power through a parliamentary coup, backed up by force effected by mobilising public support against the Girondist faction, and by utilising the mob power of the Parisian sans-culottes. An alliance of Jacobin and sans-culottes elements thus became the effective centre of the new government. Policy became considerably more radical. The government instituted the "levy-en-masse", where all able-bodied men 18 and older were liable for military service. This allowed France to field much larger armies than its enemies, and soon the tide of war was reversed. The Committee of Public Safety came under the control of Maximilien Robespierre, and the Jacobins unleashed the Reign of Terror (1793–1794). At least 1200 people met their deaths under the guillotine — or otherwise — after accusations of counter-revolutionary activities. In October, the queen was beheaded, further antagonizing Austria. In 1794 Robespierre had ultra-radicals and moderate Jacobins executed; in consequence, however, his own popular support eroded markedly. Georges Danton was beheaded for arguing that there were too many beheadings. There were attempts to do away with organized religion in France entirely and replace it with a Festival of Reason. The primary leader of this movement, Jacques Hebert, held such a festival in the Cathedral of Notre Dame, with an actress playing the Goddess of Reason. But Robespierre was unmoved by Hebert and had him and all his followers beheaded. 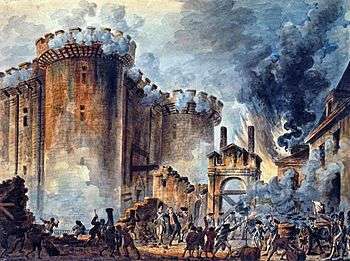 On July 27, 1794 the French people revolted against the excesses of the Reign of Terror in what became known as the Thermidorian Reaction. It resulted in moderate Convention members deposing Robespierre and several other leading members of the Committee of Public Safety. All of them were beheaded without trial. With that, the extreme, radical phase of the Revolution ended. The Convention approved the new "Constitution of the Year III" on August 17, 1795; a plebiscite ratified it in September; and it took effect on September 26, 1795. After eleven months of exile on the island of Elba in the Mediterranean, Napoleon escaped and returned to France, where he was greeted with huge enthusiasm. Louis XVIII fled Paris, but the one thing that would have given the emperor mass support, a return to the revolutionary extremism of 1793-1794, was out of the question. Enthusiasm quickly waned, and as the allies (then discussing the fate of Europe in Vienna) refused to negotiate with him, he had no choice but to fight. At Waterloo, Napoleon was completely defeated by the British and Prussians, and abdicated once again. This time, he was exiled to the island of Saint Helena in the South Atlantic, where he remained until his death from stomach cancer in 1821. 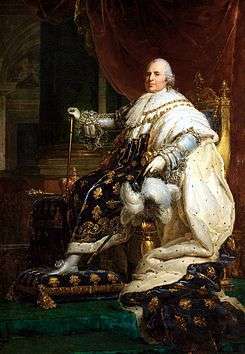 Louis XVIII was restored a second time by the allies in 1815, ending more than two decades of war. He was forced to sanction at least the principles of the French Revolution and rule as a limited, constitutional monarch. After the Hundred Days, a more harsh peace treaty was imposed on France, returning it to its 1789 boundaries and requiring a war indemnity. Allied troops were to remain in the country until it was paid. There were large-scale purges of Bonapartists from the government and military, and a brief "White Terror" in the south of France claimed 300 victims. Despite the return of the House of Bourbon to power, France was much changed from the era of the Ancien Régime. The egalitarianism and liberalism of the revolutionaries remained an important force and the autocracy and hierarchy of the earlier era could not be fully restored. The economic changes, which had been underway long before the revolution, had been further enhanced during the years of turmoil and were firmly entrenched by 1815. These changes had seen power shift from the noble landowners to the urban merchants. 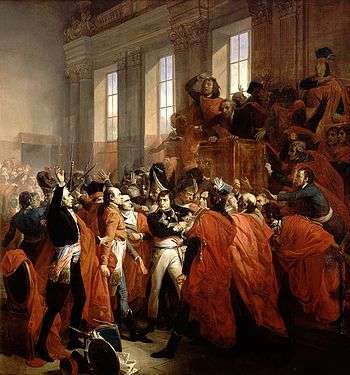 The administrative reforms of Napoleon, such as the Napoleonic Code and efficient bureaucracy, also remained in place. 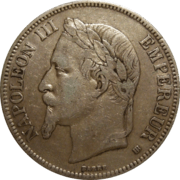 These changes produced a unified central government that was fiscally sound and had much control over all areas of French life, a sharp difference from the situation the Bourbons had faced before the Revolution. In 1823, France intervened in Spain, where a civil war had deposed its king Ferdinand VII. The British objected to this, as it brought back memories of the still recent Peninsular War. 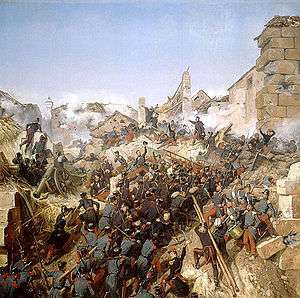 However, the French troops marched into Spain, retook Madrid from the rebels, and left almost as quickly as they came. Despite worries to the contrary, France showed no sign of returning to an aggressive foreign policy and was admitted to the Concert of Europe in 1818. Louis XVIII, for the most part, accepted that much had changed. 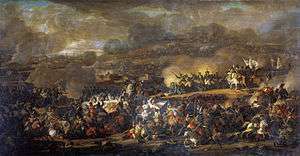 However, he was pushed on his right by the Ultra-royalists, led by the comte de Villèle, who condemned the Doctrinaires' attempt to reconcile the Revolution with the monarchy through a constitutional monarchy. Instead, the Chambre introuvable elected in 1815 banished all Conventionnels who had voted Louis XVI's death and passed several reactionary laws. Louis XVIII was forced to dissolve this Chamber, dominated by the Ultras, in 1816, fearing a popular uprising. The liberals thus governed until the 1820 assassination of the duc de Berry, the nephew of the king and known supporter of the Ultras, which brought Villèle's ultras back to power (vote of the Anti-Sacrilege Act in 1825, and of the loi sur le milliard des émigrés, Act on the émigrés' billions). Louis died in September 1824 and was succeeded by his brother. Charles X of France took a far more conservative line. He attempted to rule as an absolute monarch and reassert the power of the Catholic Church in France. Acts of sacrilege in churches became punishable by death, and freedom of the press was severely restricted. Finally, he tried to compensate the families of the nobles who had had their property destroyed during the Revolution. 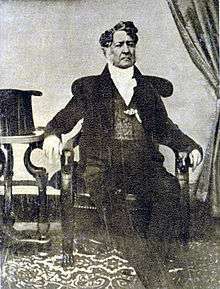 In 1830 the discontent caused by these changes and Charles X's authoritarian nomination of the Ultra prince de Polignac as minister culminated in an uprising in the streets of Paris, known as the 1830 July Revolution (or, in French, "Les trois Glorieuses" - The three Glorious days - of 27, 28 and July 29). Charles was forced to flee and Louis-Philippe d'Orléans, a member of the Orléans branch of the family, and son of Philippe Égalité who had voted the death of his cousin Louis XVI, ascended the throne. Louis-Philippe ruled, not as "King of France" but as "King of the French" (an evocative difference for contemporaries). It was made clear that his right to rule came from the people and was not divinely granted. He also revived the Tricolor as the flag of France, in place of the white Bourbon flag that had been used since 1815, an important distinction because the Tricolour was the symbol of the revolution. 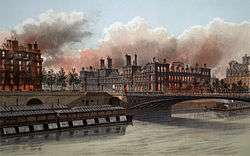 The July Monarchy (1830–1848) is generally seen as a period during which the haute bourgeoisie was dominant, and marked the shift from the counter-revolutionary Legitimists to the Orleanists, who were willing to make some compromises with the changes brought by the 1789 Revolution. Louis-Philippe was crowned "King of the French", instead of "King of France": this marked his acceptance of popular sovereignty, which replaced the Ancien Régime's divine right. 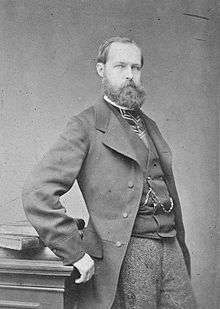 Louis-Philippe clearly understood his base of power: the wealthy bourgeoisie had carried him aloft during the July Revolution through their work in the Parliament, and throughout his reign, he kept their interests in mind. During the years of the July Monarchy, enfranchisement roughly doubled, from 94,000 under Charles X to more than 200,000 by 1848 . However, this only represented roughly one percent of population, and, as the requirements for voting were tax-based, only the wealthiest gained the privilege. By implication, the enlarged enfranchisement tended to favor the wealthy merchant bourgeoisie more than any other group. Beyond simply increasing their presence within the Chamber of Deputies, this electoral enlargement provided the bourgeoisie the means by which to challenge the nobility in legislative matters. Thus, while appearing to honor his pledge to increase suffrage, Louis-Philippe acted primarily to empower his supporters and increase his hold over the French Parliament. The inclusion of only the wealthiest also tended to undermine any possibility of the growth of a radical faction in Parliament, effectively serving socially conservative ends. The reformed Charter of 1830 limited the power of the King – stripping him of his ability to propose and decree legislation, as well as limiting his executive authority. However, the King of the French still believed in a version of monarchy that held the king as much more than a figurehead for an elected Parliament, and as such, he was quite active in politics. One of the first acts of Louis-Philippe in constructing his cabinet was to appoint the rather conservative Casimir Perier as the premier of that body. Perier, a banker, was instrumental in shutting down many of the Republican secret societies and labor unions that had formed during the early years of the regime. In addition, he oversaw the dismemberment of the National Guard after it proved too supportive of radical ideologies. He performed all of these actions, of course, with royal approval. He was once quoted as saying that the source of French misery was the belief that there had been a revolution. "No Monsieur", he said to another minister, "there has not been a revolution: there is simply a change at the head of state." 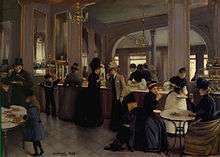 In February 1848, the French government banned the holding of the Campagne des banquets, fundraising dinners by activists where critics of the regime would meet (as public demonstrations and strikes were forbidden). As a result, protests and riots broke out in the streets of Paris. An angry mob converged on the royal palace, after which the hapless king abdicated and fled to England. The Second Republic was then proclaimed. Beside this defeat, the Republican movement also had to confront the counterrevolutionaries who rejected the legacy of the 1789 Revolution. Both the Legitimist and the Orleanist royalists rejected republicanism, which they saw as an extension of modernity and atheism, breaking with France's traditions. This lasted until at least the May 16, 1877 crisis, which finally led to the resignation of royalist Marshal MacMahon in January 1879. The death of Henri, comte de Chambord in 1883, who, as the grandson of Charles X, had refused to abandon the fleur-de-lys and the white flag, thus jeopardizing the alliance between Legitimists and Orleanists, convinced many of the remaining Orleanists to rally themselves to the Republic, as Adolphe Thiers had already done. The vast majority of the Legitimists abandoned the political arena or became marginalised, at least until Pétain's Vichy regime. Some of them founded Action Française in 1898, during the Dreyfus affair, which became an influent movement throughout the 1930s, in particular among the intellectuals of Paris' Quartier Latin. In 1891, Pope Leo XIII's encyclical Rerum novarum was incorrectly seen to have legitimised the Social Catholic movement, which in France could be traced back to Hughes Felicité Robert de Lamennais' efforts under the July Monarchy. Pope St Pius X later condemned these movements of Catholics for democracy and Socialism in Nostre Charge Apostolique against the Le Síllon movement. Bismarck had favoured the instauration of a republic in France in 1871, knowing that this would isolate the defeated nation in Europe where most countries were monarchies. 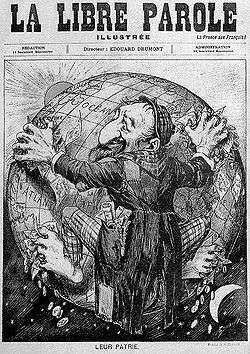 In an effort to break this isolation, France went to great pains to woo Russia and the United Kingdom to its side, first by means of the Franco-Russian Alliance of 1894, then the 1904 Entente Cordiale with the U.K, and finally, with the signing of the Anglo-Russian Entente in 1907 this became the Triple Entente, which eventually led France and the UK to enter World War I as Allies when Germany declared war on Russia. ↑ Rougerie, Jacques, Paris libre- 1871 248-263. ↑ Toombs, Robert (September 2012). 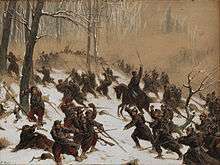 "How bloody was La Semaine Sanglante of 1871? A revision". The Historical Journal. Cambridge Journals. 55 (3): 679–704. doi:10.1017/S0018246X12000222. ↑ Estimates come from Cobban, Alfred, "The rise of the third republic", in Cobban, Alfred, A history of modern France: Volume 3: France of the Republics 1871-1962, Harmondsworth, Middlesex: Penguin Books, p. 23, ISBN 9780140138276. ↑ Pope Pius X (1910). "Letter of Pope Pius X to the French Archbishops and Bishops 1910". the-pope.com. Where Peter is, There is the Church.